Obesity is a big problem for people. It’s an even bigger problem for pets. At least people occasionally have the wherewithal to go see a doctor and make lifestyle changes. Dogs and cats rarely have that luxury. Unfortunately, a lot of folks will tolerate an obese animal with quite a bit more humor than they will when their own waistline starts increasing. In the U.S. the obesity capital of the world, it’s estimated that a whopping fifty four percent of dogs and cats are either overweight or obese! 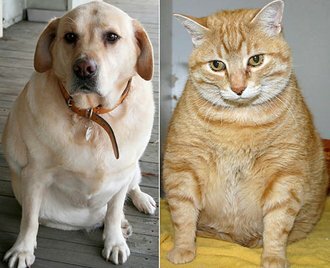 So there’s a huge problem, people feed their fat dogs and cats too much. What can be done about it? Dogs are very much like humans in that a healthy diet and exercise are always the best way to achieve weight loss in a relatively short amount of time. We’ve discussed the importance of proper exercise and diet for your dogs on this blog before, but as it turns out this information needs to be applied to your kitty cats as well. It’s pretty easy to exercise your dog. Just take it outside, run around the block a few times, walk it on a leash for a while, or even visit your local dog park and let it go nuts with its friends and neighbors. Cats are as usual, slightly more complicated. Cats need constant stimulation, the trusty laser pointer works really well for a lot of folks. There are tons of other toys designed specifically with your cat in mind. If your cat hasn’t been declawed you might also consider letting it outside daily. Though coyotes can be a major threat in suburban areas depending on where you live, so be careful! Dog dietary needs are discussed in detail in this previous post, but cat’s need similar treatment. Every cat is different so you may need to do some independent research to figure out what the best diet for your pet is. However there are certain universal guidelines that you can start with. Always consult a vet before putting your cat on a diet. That’s the quickest way to determine proper portion size and dietary content. When trying a new dish poor a spoonful of chicken or beef broth over the food. It’ll go a long way in helping the cat accept the new taste and texture. Go for gradual weight loss. 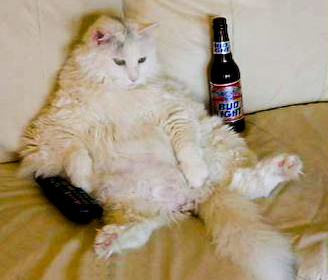 Fat cats aren’t going to take to “crash dieting” all that well. If you can use that as a start then follow your vet’s instructions to a “T” then you shouldn’t have any trouble turning your tubby tabby into a lean mean mouse catching machine. No matter whether you’ve got a dog or cat you want to ensure the best lifestyle possible for your animal companion. They only have you to depend on. 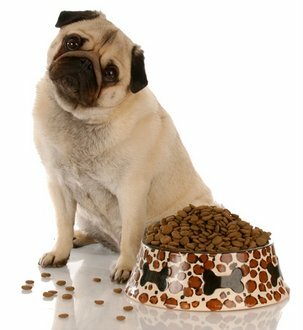 So really consider what your best course of action is to tame your pet’s appetite and contain its waistline. You commented to let cats outside for more exercise and cautioned about coyotes--I dont think one should ever let a cat out untended for any reason. Cats are prey to way more than just a coyote and they can also pick up diseases outside that can be fatal at worst and debilitating at best. They are safer inside and a responsible pet owner should see that the pet has exercise (play with it-get it moving) that is safe and effective. We rescued a cat and he's an outdoor/ indoor cat. He was trained to go outdoors to the bathroom. Simply will not use a litter box. On the top of our spa , he has a tent for summer and a heated house for light winter. He stays in the den in heavy winter. He has a getaway house for privacy. He's very finicky. He's a hunter and thrives on being outdoors. He will pound on the door until he's let out. We worry about him. The vet said he knows how to take care of himself. It would be a crime to try to keep him in. And he has a home to come home to. He has many personalities and its taken some getting use to. We never had a cat before Boots. He leaps up to the roof top and walks and sits watching the birds. He a bird hunter. I couldn't believe he could jump to the roof. Outside he keeps fit. He runs and walks miles. He has an chip under his skin in case he gets lost. And someone dares to pick him up. We love our Boots he's brought new life to a senior family. Sincerely. Carol J.